I have long thought that drinking alcohol with diabetes needs to be a much more widely discussed topic. Drinking is fun, but being safe while drinking takes planning. Backstory enters here: All growing up I saw a nutritionist & CDE every few months. These women felt like family and I enjoyed these appointments. When I was a teenager, one of them talked to me about alcohol. (I know who she was, I just don’t know which woman had each title.) I never believed that I would never drink, but I did know that I wasn’t ready at that time. She sat me down anyway and explained testing frequently and drinking water, and testing and eating food and testing. They explained how even if you see a high number, you don’t get as nervous as usual because alcohol raises you and then drops you. I think the most important thing I learned though, was at camp. GLUCAGON DOESN’T WORK WITH ALCOHOL IN YOUR SYSTEM. This is something I’ve known longer than I’ve been drinking and I share with everyone possible because I think it’s more important than anything else. The safety net that we so desperately avoid using is not available to us. 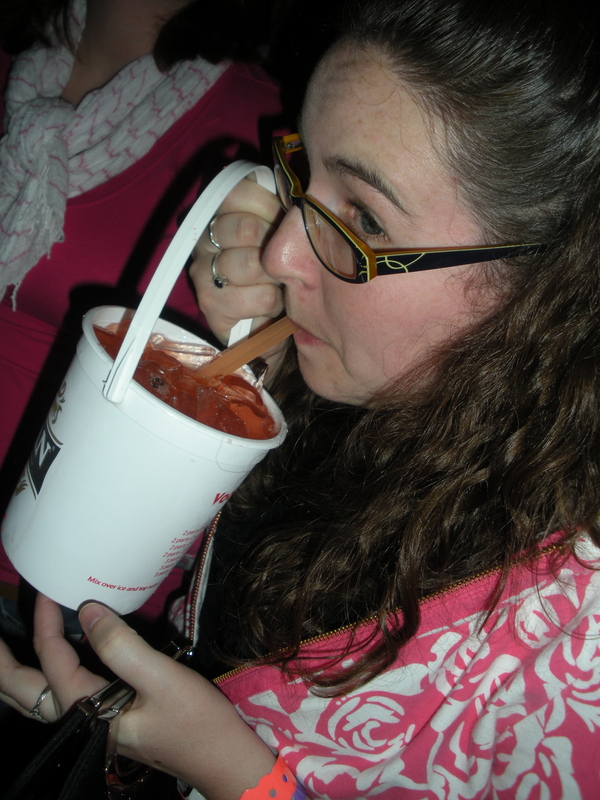 Sometimes you drink out of a bucket, and that’s okay! In high school, I knew plenty of people who drank. I was friends with some and I was not friends with others. When others asked why I didn’t drink, I just told them that I couldn’t because of diabetes. I knew that someday I would be able to, but showing that bright yellow label was easier than any other explanation. Plus, I was scared. I had the idea that feeling drunk was going to feel like feeling low. First, I don’t like feeling low, so why would I create this situation? Second, if I feel low, but I’m not, how would I know when I started to drop? This definitely worked to my friends advantage because I was the one who they could call on to drive, no matter what. When I did start drinking, I called my two best friends and we drank in a dorm room because I wanted to be in a safe environment with people I trusted. It worked, and my fears diminished. As I went through college, I drank more, just like most college kids do. I’m not going to say that I always drank by the book or that I always paid attention to diabetes. I didn’t. It worked for me, but that does not mean it will work for everyone. But I was always with people I trusted. I think that makes all the difference. For kids & people now, they can drink differently. All because of this new resource Drinking with Diabetes. I think that this is beyond important, helpful and way overdue. For those of you who are wondering what to do, check it out. Read the information. ASK QUESTIONS. There are so many people out here who do drink, and we all know what works for us. I know that we’re all different and what we decide to drink and do varies between us, but what we do might be able to help you. when people ask what being low is like, I tell them its kind of like being drunk, only instead if feeling good you feel like sh**. I used to say that, but I try not to any more so that people who are thinking about trying alcohol with diabetes won’t think that all they’re going to get out of it is feeling low. But I do understand how it is an easy comparison. Because… we all know that it’s SO much better than being low and the only way to survive college, your 20’s, your 30’s, and (I assume) every decade after. Great post, Briley. Very important topic and this is a great resource that PWDs and their families have these days. 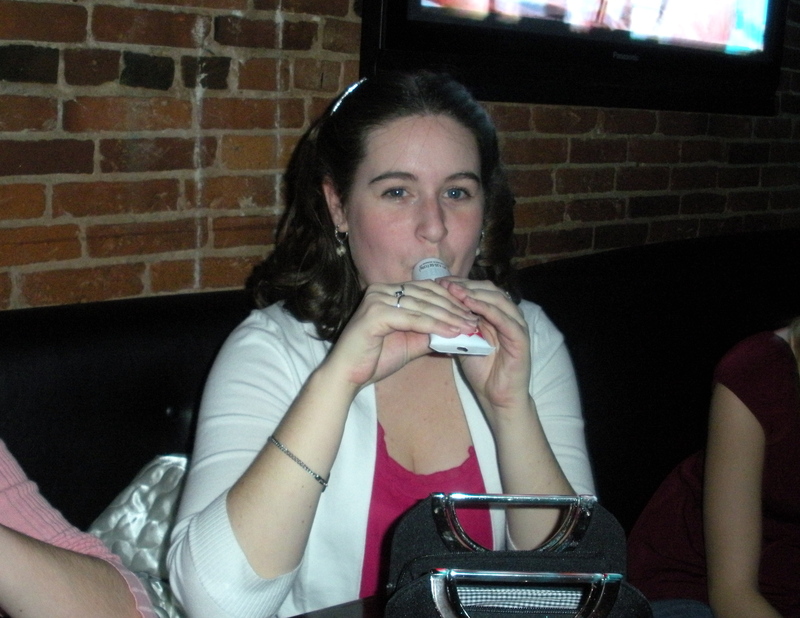 I did my share of drinking in college and hardly followed any rules… but it was mostly because I kept my sugars so high back then. Not good. But I remember those times of going Low, while drinking or after drinking, and not knowing what it was from exactly. Thanks for sharing this resource and letting more people know about it. I am ashamed to say that I officially didn’t know Glucagon does not work when drinking alcohol. Although it makes complete sense. I had a fair share of bad experiences with drinking and it took me a long time to know what my limit, unfortunately. But I do drink much more responsibly now. I was never “taught” how to drink safely with diabetes and I think this is a great resource for people on a topic that isn’t touched upon enough. Thank you Briley for touching on this important subject. I feel like the only person on the planet that doesn’t drink. You are not at all, and that’s great. It’s just not who I am, and I don’t want people “out there” to think that they can’t drink. You not drinking means you can drive us all home from the bar. You’re really just doing your part as a good friend. It’s part of why we love you (that and you are super great at doing nails). I didn’t really know that glucagon doesn’t work with alcohol either. Or, come to think of it, I might have heard it in passing, but it certainly didn’t leave an impression. Now that I’ve read it in all caps, I’m sure I’ll remember. Thanks! Oftentimes I look back at my four years in college and wonder how I ever made it out of there alive. I never drank before, but certainly did while I was there (not at much as some others I was around, but that doesn’t really say much). I didn’t carry my meter around with me, and I was using an unpredictable regimen of Regular and NPH insulin (animal-sourced, if I recall correctly). I would stay up late at parties on Friday and Saturday nights, and because the dining halls didn’t serve breakfast on weekends, I’d sometimes wait a long time before eating again. The thought alone makes me shudder. I’m so glad that there is better information out there, as well as better tools, for young PWD’s going through college today. The best conversations I have with other diabetic revolve around how they go about dealing with alcohol. I usually err on the side of being the perpetual DD, but then again, that probably has a bit more to do with being cheap AND having stupidly high tolerance. Thanks for this post, and for continuing my alcohol education. I can honestly tell you that everything I know about alcohol’s effect on diabetes I learned from you. I am glad I have been able to teach you & let you learn through my experiences. I’m still always available if you have any questions.